What should be expected of men? Oftentimes it may seem appropriate to define men as unsubtle, uncomplicated and single minded beings. Many men like to consider themselves assured, decisive and in possession of the facts; they make every effort to appear this way outwardly. But what if this is self-deception? Nuri Bilge Ceylan’s Once Upon A Time In Anatolia is a nuanced study of the moral uncertainty that lies behind the facade, deep in the hearts of men. Taking the genre of the police procedural and turning it on its head, Ceylan sidesteps the gung-ho and builds a story around a group of ordinary men dealing with unpleasant and gruelling responsibilities. Once Upon A Time In Anatolia sees police commissioner Naci (Yilmaz Erdogan), doctor Cemal (Muhammet Uzuner) and prosecutor Nusret (Taner Birsel) relentlessly driving through the steppes of Anatolia as Naci attempts to gain insight from Kenan (Firat Tanis), a murder suspect, regarding the whereabouts of a corpse. Ceylan’s film carries the audience with the men throughout the arduous task. The first act of the film deals primarily with Naci’s responsibilities. He is jaded in his job and wants simply to complete his responsibilities to the case and move on. His is continually troubled by the incommunicative Kenan, who claims to have been drunk when burying the corpse. In addition to his policing responsibilities he has his wife on the phone pushing him to obtain medication for their young son, who has run out of his prescription. Naci has the doctor Cemal on hand, from whom he will get his son’s prescription, but they must complete their nights work first. Cemal’s responsibilities involve carrying out an autopsy on the corpse. His job can only commence upon actually finding the body. Cemal harbours his own problems as he is a single, childless divorcee. Haunted by what could have been Cemal is a sensitive, thoughtful and sceptical person, in many ways the emotional heart of the film. While conducting the autopsy he discovers something, but chooses not to report it – this little white lie is his attempt to buffer the truth, for the sake of emotional censorship. Despite seeming outwardly assured, Nusret the prosecutor is perhaps the most inwardly troubled. He exhibits the strongest example of self-deception, but through telling Cemal a story he tries to confront his conflicts. It is also implied that Nusret may have prostate cancer, but this is something the character himself never acknowledges. Fortunately for the audience, Ceylan also allows Nusret some of the most prominent moments of humour, which function to illustrate his capacity to endure reality. One grim scene swiftly becomes hilarious as he admits his resemblance to Clark Gable. But Once Upon A Time In Anatolia is not a film made for the purposes of entertainment. It is not built to amuse, thrill or delight – it is a meditation. It is a serious film with a genuine interest in the inner lives of men. 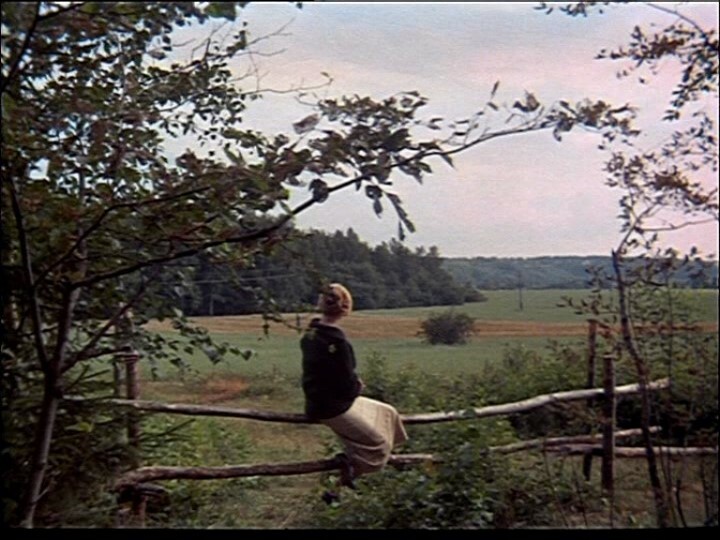 In spite of its seriousness though this film is still captivating. In part this is due to the remarkable digital cinematography by Gökhan Tiryaki. Tiryaki captures the Anatolian steppes with wide shots reminiscent of Abbas Kiarostami and an eye for nature that evokes Tarkovsky. 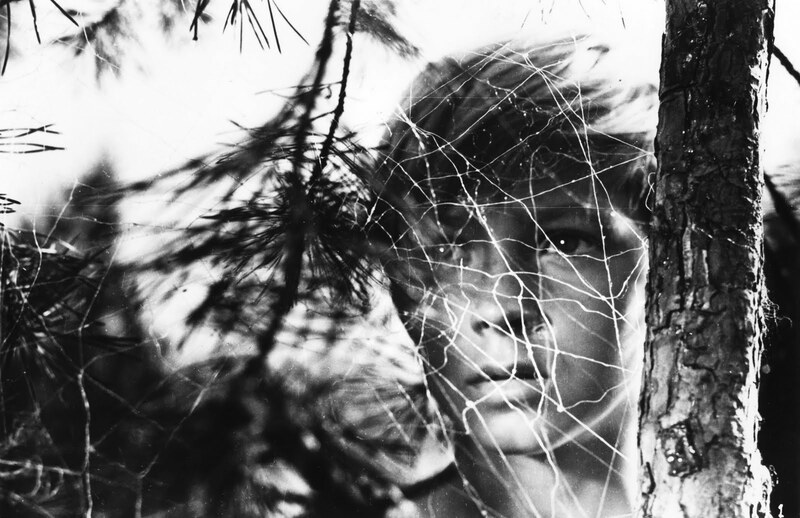 Nature is a compelling character in this film, almost taking on a narrative life of its own. At times Ceylan diverts our attention from the physical action of the main characters with a gust of wind or the fall of an apple. One of the most memorable moments sees an apple drop from its tree into a stream. Ceylan’s camera follows the apple as it moves with the flow downstream, giving us the opportunity to experience the natural flow of nature; this contrasts with the monotonous struggle of the crime procedure. Once Upon A Time In Anatolia takes a sincere look at its band of troubled souls. It portrays their yearning for better things, for innocence and peace despite their masculinity. The most remarkable scene sees the men stop at a small village in the middle of the night, where they are treated to food and a brief rest by the locals. After their meal a beautiful young woman enters the scene carrying a lantern and a tray of drinks – she is practically the only woman in the film. She hands each man a drink and they look up at her, not with desire, but as if stirred by her purity. According to Nuri Bilge Ceylan’s film there is more to men than meets the eye – be they lawmen, doctors or criminals. 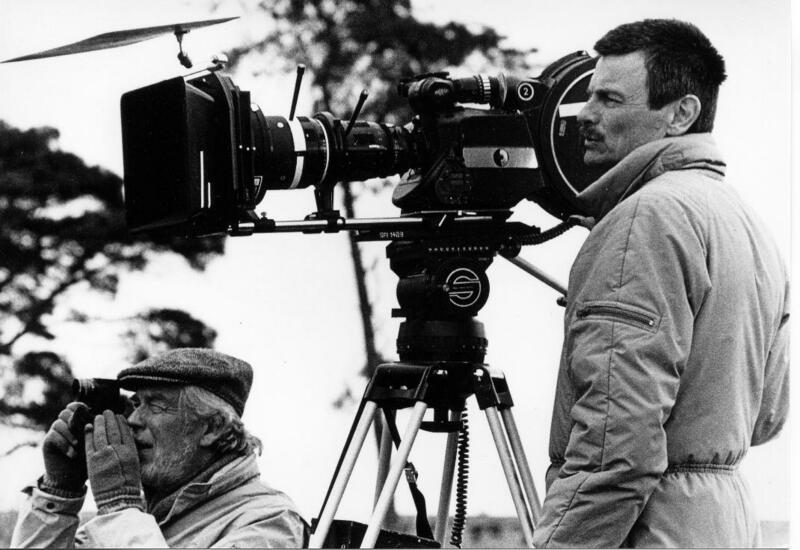 Russian director Andrei Tarkovsky, one of cinemas greatest masters was born on 04.04.1932. Sadly the he passed away in 1986, but his films live on as some of the most extraordinary ever created. 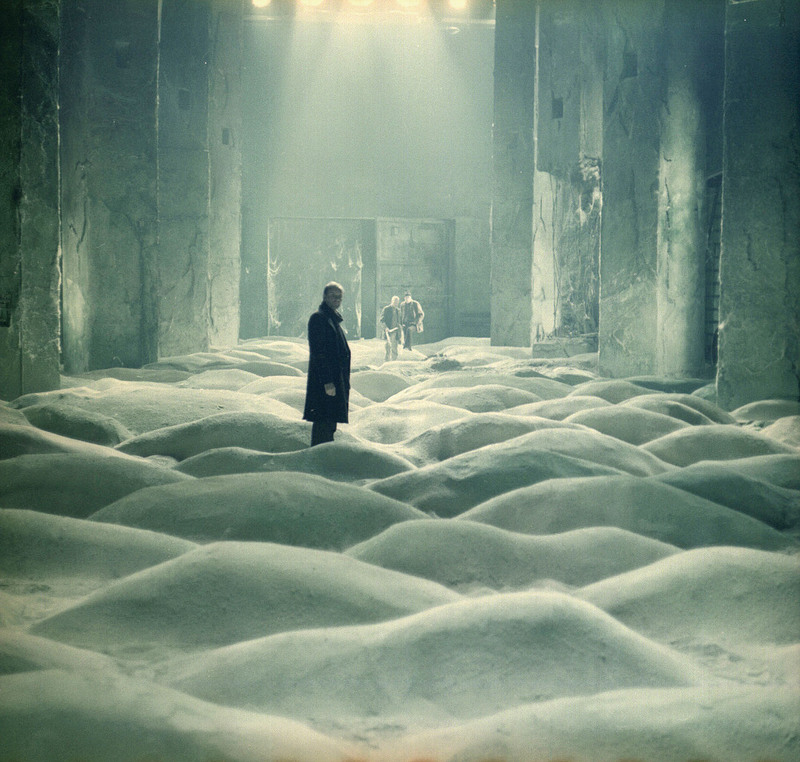 As a tribute to the poetic genius of Tarkovsky’s work I have compiled a few images from his films here, the beauty of these still images only hint at the greatness of his films. So, true to form, Korine‘s latest release is Umshini Wam (Bring Me My Machine Gun) a short film starring South African Rave-Rap artists Ninja and Yo-Landi Vi$$er from Die Antwoord. The film tells the story of two wheelchair bound ‘gangstas’, who shoot guns, sleep in the woods, wear bright coloured jumpsuits and smoke massive joints with the ultimate goal of obtaining some serious credibility by upgrading their wheelchairs. Harmony Korine is keeping it real, but perhaps this is not what Ebert meant by “the real thing” twelve years ago. Umshini Wam doesn’t entirely fit with the art film credentials Korine was known for with Gummo and Julien Donkey-Boy; this film is pure, ridiculous, undiluted entertainment. This said the film makes good use of its two peculiar lead actors, has a great soundtrack courtesy of the unseen member of Die Antwoord DJ Hi-Tek and cinematography by Alexis Zabe who shot Silent Light with Mexican auteur Carlos Reygadas. While it is hard to imagine Roger Ebert consigning this film next to those of Tarkovsky it is fair to say that Korine is consistent in creating work unlike anyone else. For what it’s worth Umshini Wam is a fun addition to the predictably unpredictable career of Harmony Korine and reports suggest that there is more to look forward to, as Korine is in talks with James Franco to make a film involving real life gang fights. I’ll believe it when I see it.